I bloody love castles. If I had to pick my perfect day out in the UK, it would revolve around visiting a castle and eating a good pub lunch. So, you can imagine my excitement when I convinced my boyfriend that we needed a little day trip. We whittled our options down to Arundel Castle, Windsor Castle or visiting a relatively close tourist city like Cambridge or Oxford. 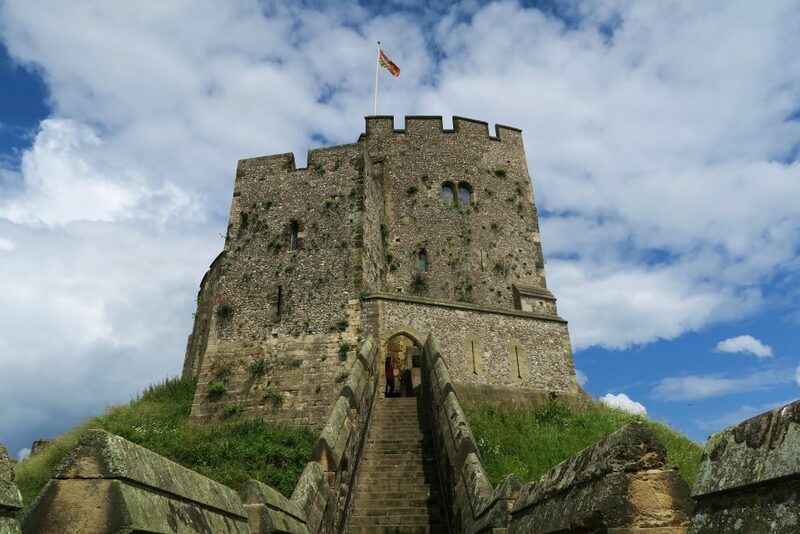 Arundel was the winner and it was a really lovely day – even with the rain! The castle itself is huge. There are a few different ticket options available, which can be viewed here. We opted for the gold ticket which meant we could see the gardens, ground, Fitzalan chapel, Castle keep, main castle rooms, shop, restaurant and cafe. 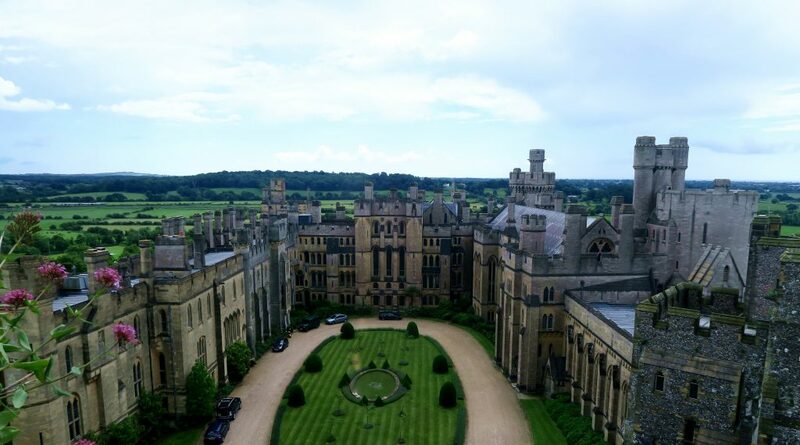 The Gold Plus ticket would have also allowed us to see the castle bedrooms, but we were only in Arundel for a quick day trip (it’s a 2 hour journey from where we live) and we wanted time to see what the rest of Arundel has to offer. The grounds are absolutely stunning, it’s the perfect place to spend a sunny day. The inside of the castle is interesting, varied and beautiful (my favourite information board was about Empress Matilda – she sounds like an absolute sassy babe!). What Else Can You Do In Arundel? Arundel is picture perfect. The drive into Arundel is beautiful. 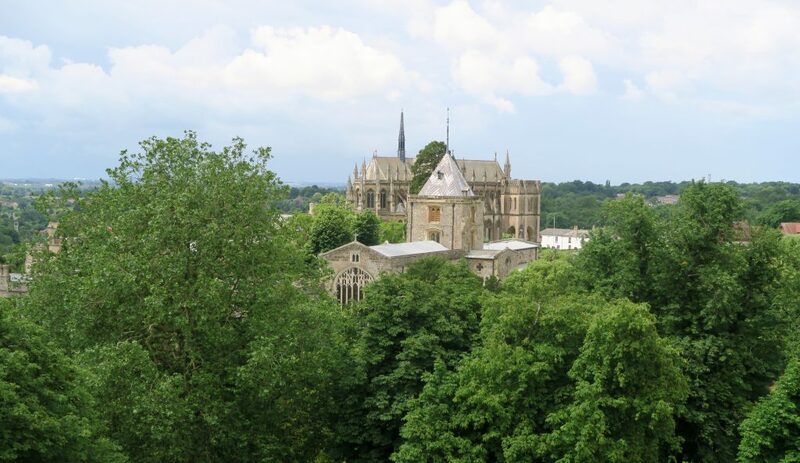 The main road into the town is surrounded by lush greenery with a great view of the castle and cathedral. 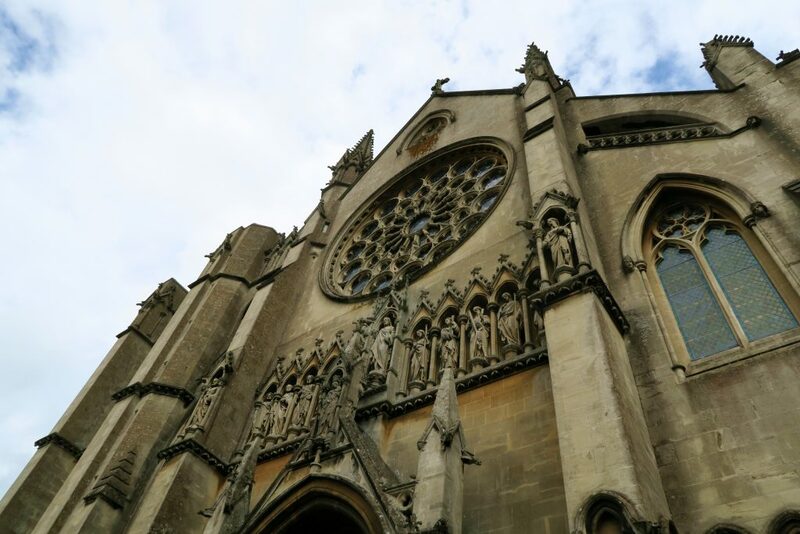 Once you’ve spent enough time in the castle (although I don’t think there’s ever enough time, I could happily stroll around a castle for hours), I’d definitely recommend taking time to visit Arundel Cathederal. 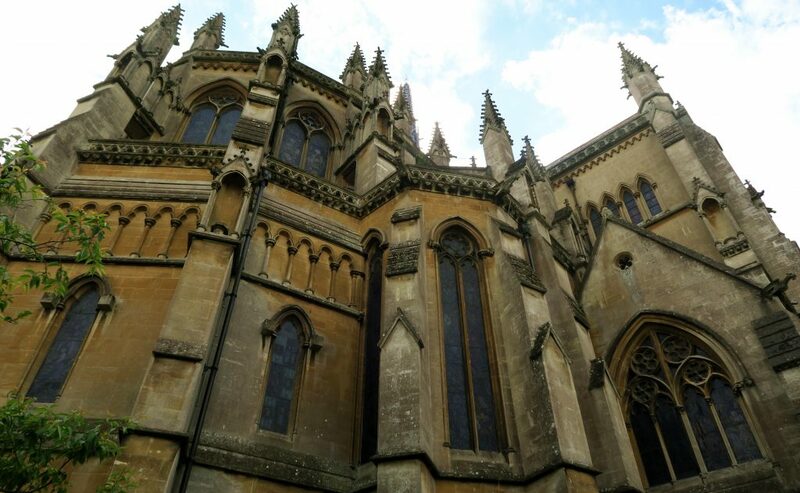 It’s a short walk away and is a really beautiful Roman Catholic building. Arundel is also filled with adorable streets and shops. We spent some time exploring the cute little independent shops, there’s definitely something for everyone – especially if you like fudge! What’s In The Surrounding Areas? 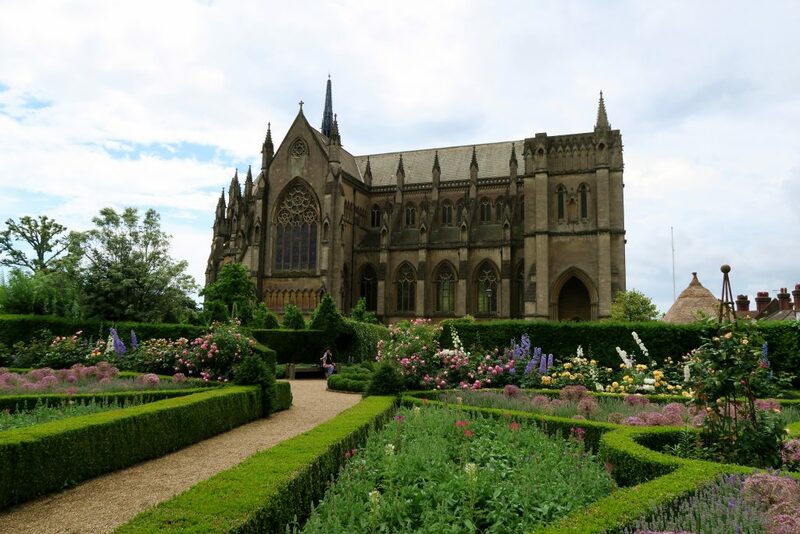 We originally tried to book an overnight stay in Arundel so that we could do 2 days of exploring and break up the 2 hour drive each way. However, we planned everything a little bit too late and couldn’t get any decently priced hotels – woe is us! 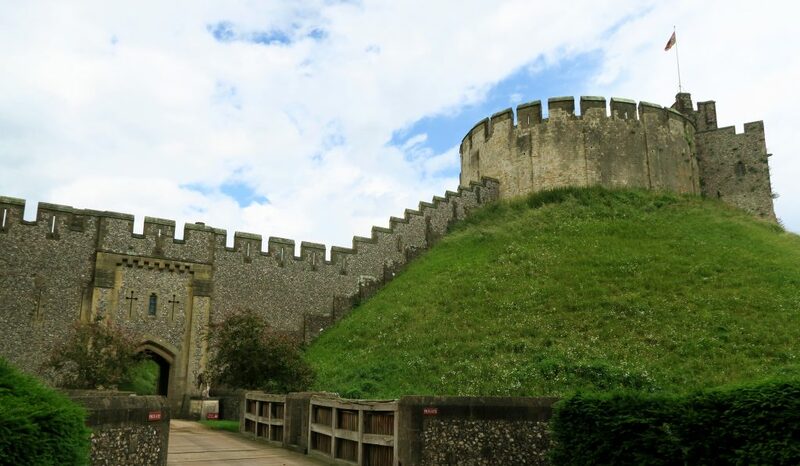 If we had a second day, we had a few ideas for things to do outside of Arundel including exploring South Downs National Park which is filled with fun activities such as gliding, hot air balloon rides, cycling, walking, Geocaching and horseriding. The main thing that made me want to visit South Downs so much is that, it is the world’s newest International Dark Sky Reserve (IDSR) meaning stargazing is incredible. I want to be wrapped up warm in blankets, sitting under the stars enjoying the sights please! We obviously didn’t get to do this because of time restrictions but I’m dying to go back and experience it! By way of larger cities, Brighton is a 40 minute drive from the castle, Worthing is 18 minutes, Chichester is 20 minutes and finally you can reach Bognor Regis in 22 minutes. I’m looking for more castles to discover in England, where would you recommend? !